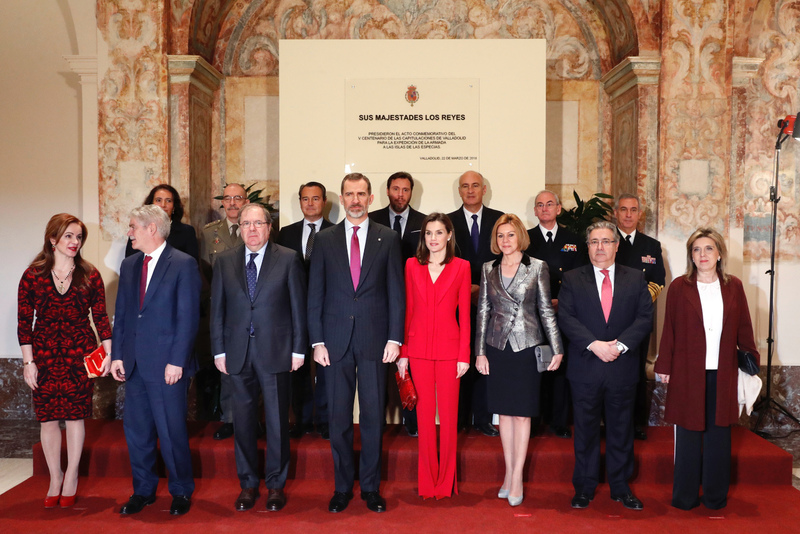 King Felipe VI and Queen Letizia of Spain presided over an institutional ceremony today marking the capitulations of Valladolid within the framework of 500th anniversary of the Earth’s first circumnavigation by Portuguese explorer Fernando de Magallanes who organised the Spanish expedition in 1519 at Monastery of Our Lady of Prado Valladolid. After exchanging the greetings, Their Majesties reviewed the interior of the Monastery. An exhibition was conducted in the form of panels with the information on the capitulations. The Curators explaining the contents of exhibition to King and Queen. On March 22, 1518 King Carlos I signed with Ferdinand Magellan the capitulations of Valladolid, for which the Monarch put at his disposal an armada of five ships to seek a passage by sea to the newly discovered South Sea, in order to find a new route to the species, navigating to the west, at the same time granted him the title of captain of this armada, with advance and position of Governor of the lands that were discovered. The argument put forward by Magallanes was that, according to the division of the Treaty of Tordesillas, the islands of the Speciera were in the part corresponding to Spain and not to Portugal, and, consequently, the monopoly of the spices had to correspond to the Kingdom of Spain. In the auditorium of the Monesatry the act was presented by the Chief of Staff of the Navy, Director of the congress and video explaining the study of the Capitulations of Valladolid was run. The Ministry of Defense, in collaboration with the Ministry of Education, Culture and Sport and the Junta de Castilla y León, organizes the first act of the commemoration of the V Centenary of the first round the world, the International Congress of History “Primus Circumdedisti Me . Keys to the first globalization “, which takes place from March 20 to 22, 2018 at the Miguel Delibes Cultural Center in Valladolid. The conference, led by the Professor of Modern and Academic History Number of the Royal Academy of History Carlos Martinez Shaw, aims to establish a historical reflection on the first round the world and, taking as starting point the Capitulations of Valladolid, the circumstances in which the expedition was carried out that definitively opened the way to the first globalization, as well as divulging our knowledge about the figure of Juan Sebastián de Elcano. In the end King signed the solemn signature of a commemorative document before a brief meeting with ambassadors, assistants and members of the National Commission and the National Executive Commission of the V Centennial. For this historic event, Queen Letizia brought her favorite colour- Red- back. Upon arrival Queen Letizia was wrapped up in her winter white belted coat that is part of her wardrobe since 2010 and a matching white scarf. 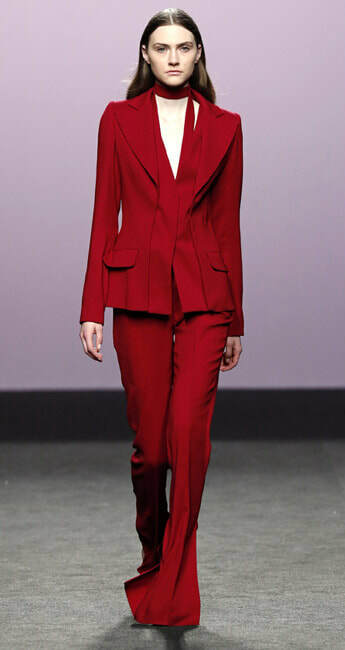 Underneath the coat, Letizia was wearing two-piece red suit by Spanish fashion designer Roberto Torretta. The suit belongs to the designers Fall/Winter 2017/18 collection and this was the first occasion for him to dress up the Spanish Queen. The suit features a figure-fit blazer with a wide notched lapel and illusion vest closure paired with boot cut trousers having a slit at the hem. Queen paired the outfit with a new pair of bespoke red suede pumps by Magrit. 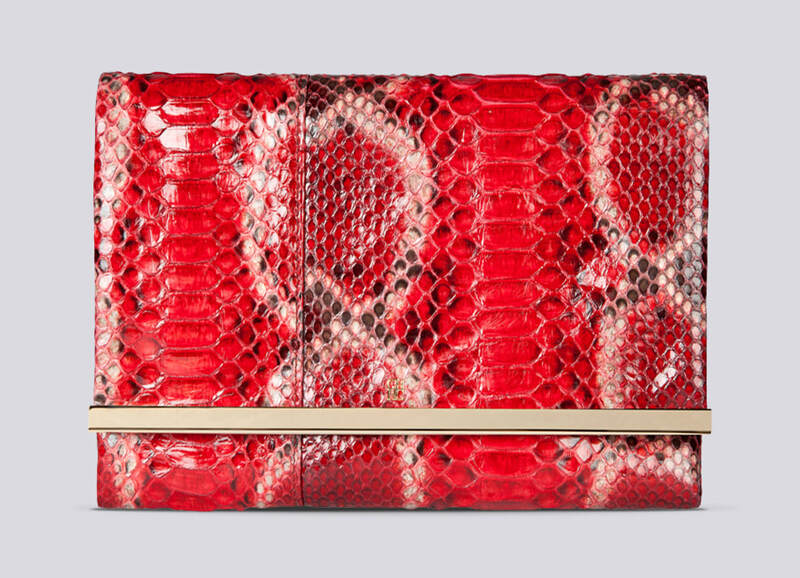 Letizia was carrying her Carolina Herrera ‘Maysa’ clutch bag.